"Have you finished off a jar of pickles? Instead of dumping the juice, consider this piquant barbecue sauce. The unique aroma of pickle juice combines with the fruity sweetness of raspberry to create a smooth sauce suited for general barbecue recipes." 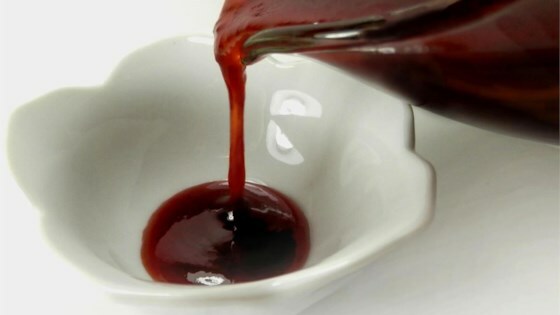 Stir together the ketchup, raspberry preserves, honey, pickle juice, mustard, brown sugar, vinegar, red pepper flakes, onion flakes, garlic powder, and black pepper in a saucepan over medium heat. Bring to a boil while stirring. Reduce heat to low and stir in the hot sauce; allow to simmer about 1 hour. Yes, amazing says it all. As lisa said put in the heat according to your families preferences. Saved my pickle juice from going to waste. I just longanberry preserves I had on hand. Great flavor! I added a little more hot sauce, I like food spicy! I will absolutely prepare this sauce again! I used fresh garlic and added some cayenne pepper for an extra kick. Delish!